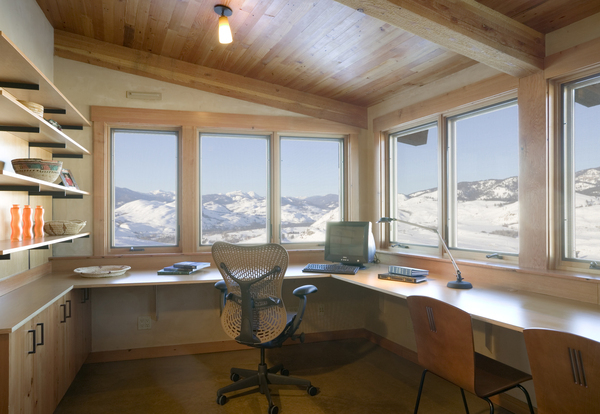 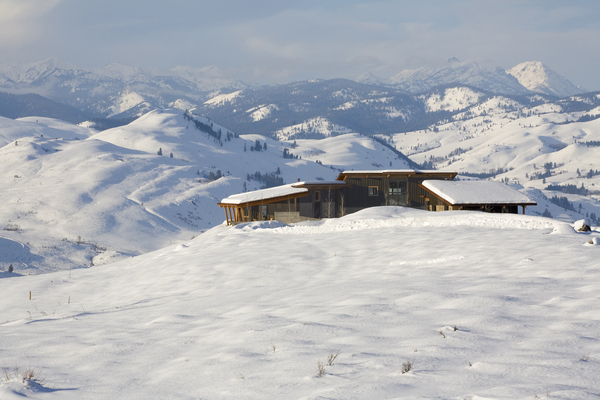 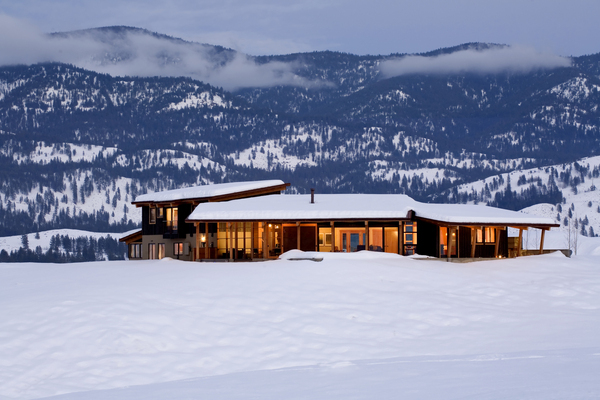 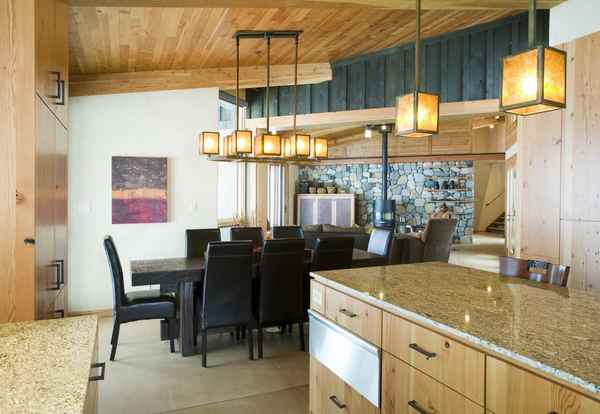 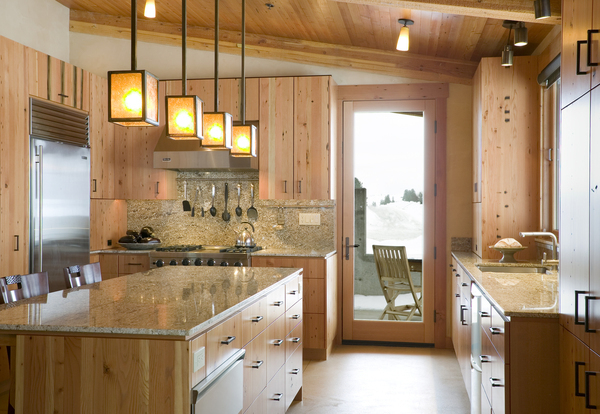 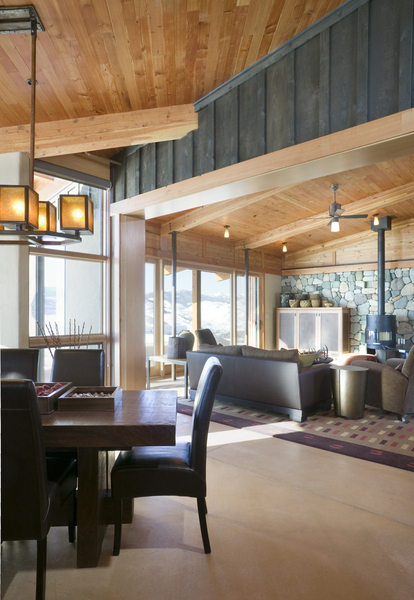 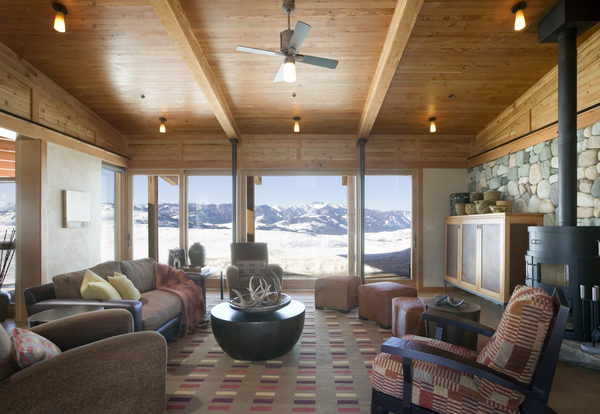 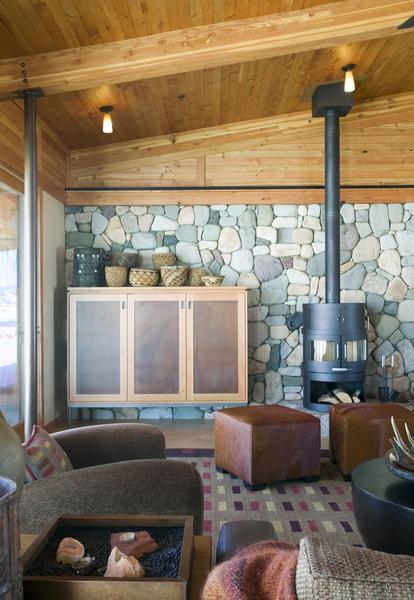 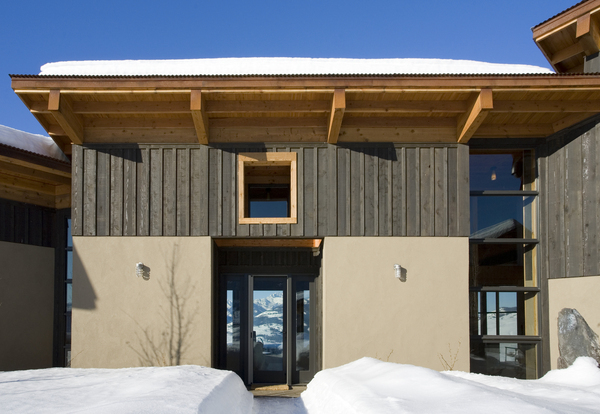 This home is located at the end of a ridge overlooking the Methow Valley in Northeast Washington State. 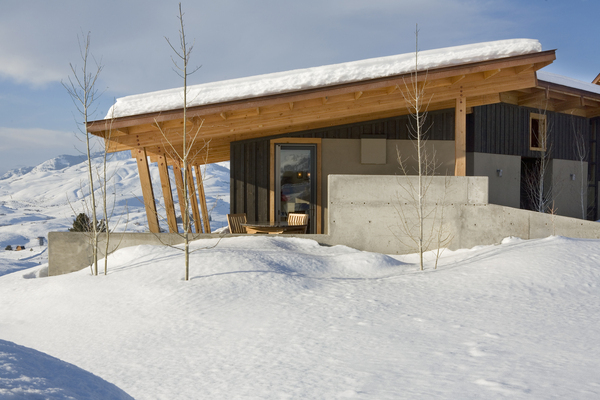 The house is arranged around a courtyard to provide a sheltered area from the exposed location on the ridge. 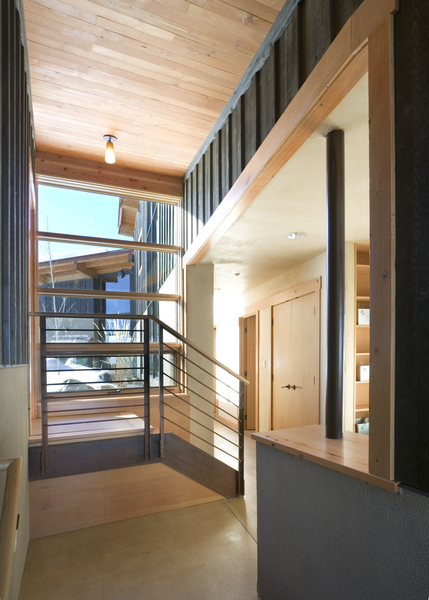 It is separated into four parts, each orientated to different views and solar exposure. 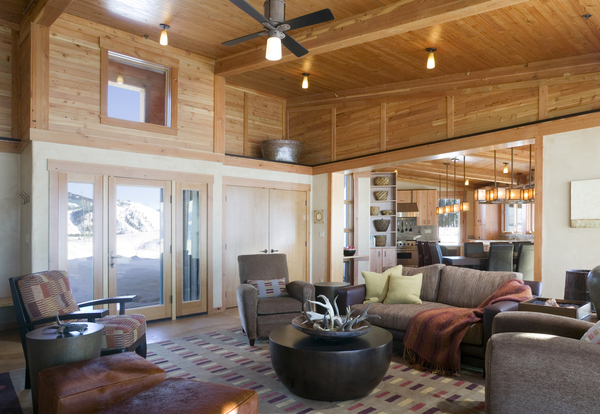 A large screen porch forms a connection between the living and sleeping wings to provide an insect free outdoor dining and living space. 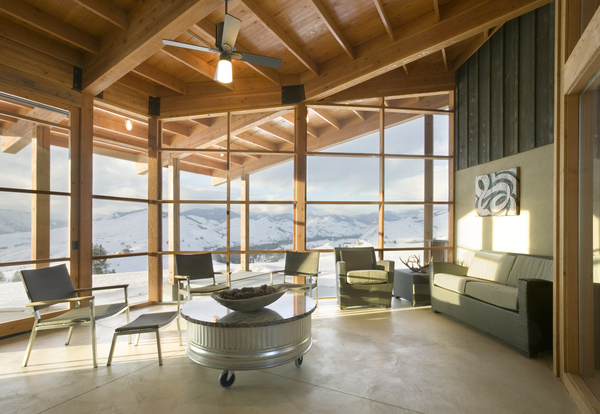 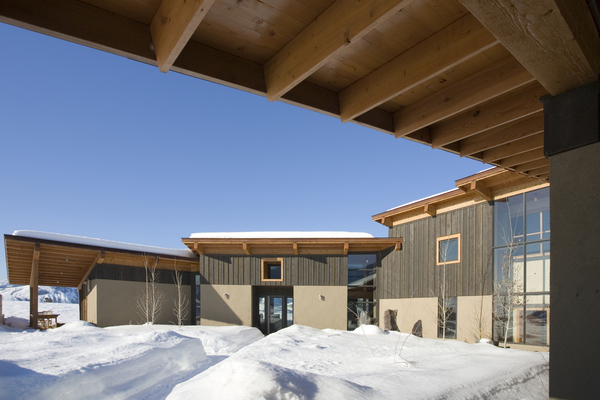 The shed roofs with cathedral ceilings slope with the contours of the hill to reduce the overall scale and impact to the structure as it is viewed from the valley floor below. 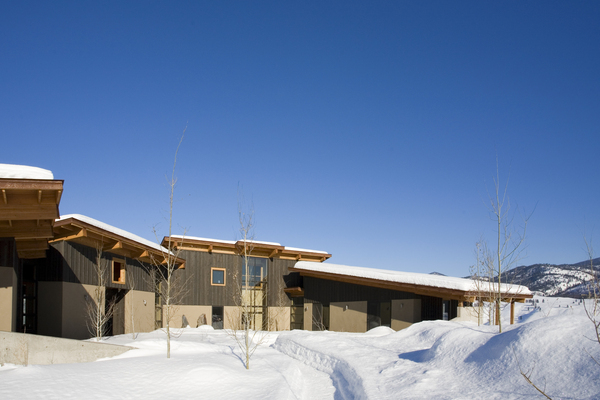 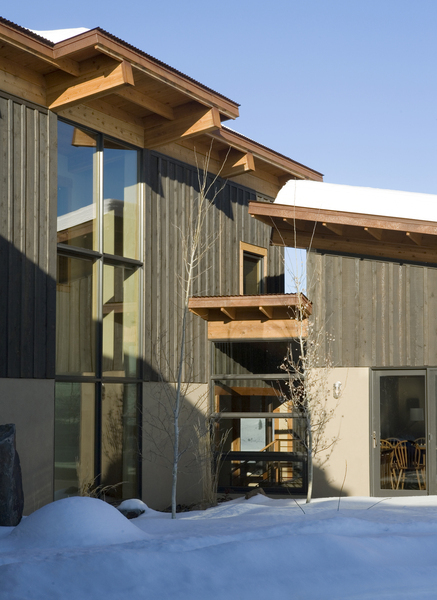 The house is built from an insulated concrete form system and uses many recycled and sustainable materials and products. 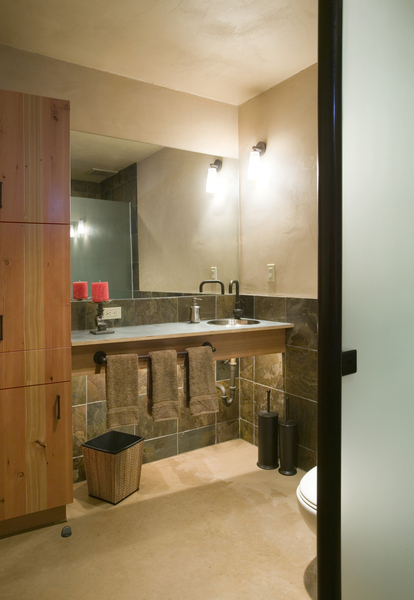 Much of the wood used throughout the house was reclaimed and resawn into sizes needed for the construction. 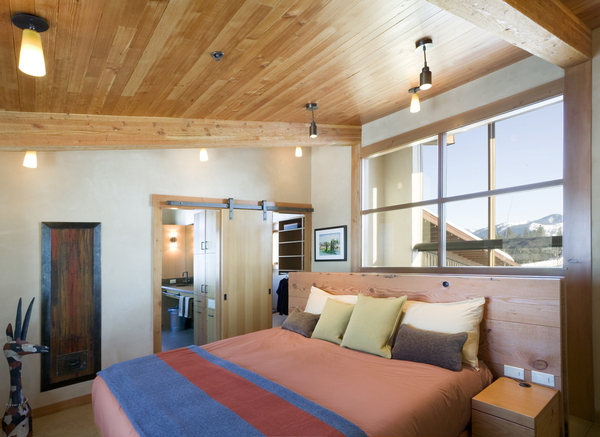 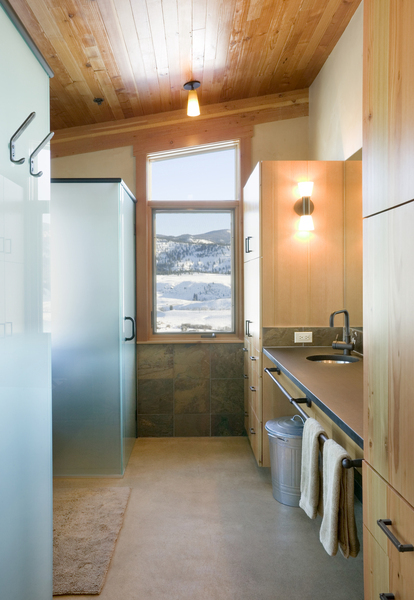 Healthy home principles were used in specifying finishes and products used throughout the residence.